Nietzsche had a minor problem with consistency; his take on restaurants wasn’t the only thing that changed over time. Even as he was praising the risotto in Italy, he was writing a takedown in The Gay Science, published in 1882. “A diet consisting primarily of rice leads to the use of opium and narcotics,” he wrote, “just as a diet consisting primarily of potatoes leads to the use of liquor.” How does this make sense? I can only accept my boyfriend’s explanation: “Risotto isn’t rice. It’s just delicious.” Fitting, since he’s the one who taught me to make it. 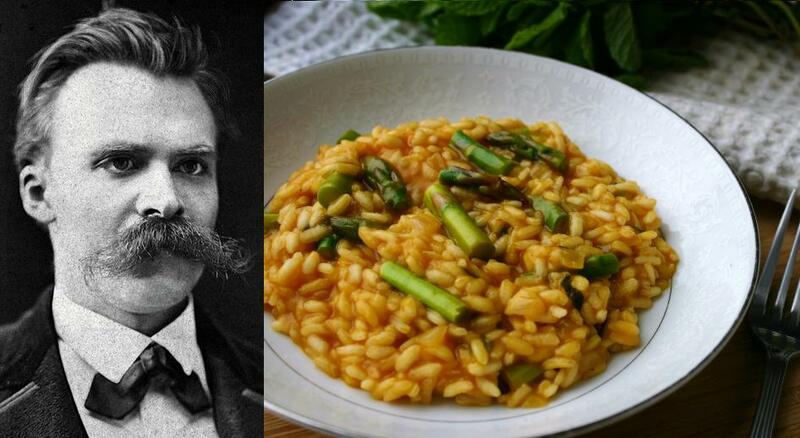 This risotto recreates what Nietzsche might have learned to make in the Villa Rubinacci, after his regular walk through the lemon groves. I hope it doesn’t induce opium use—but a glass of wine alongside it wouldn’t be a bad thing. 1. In large saucepan, bring broth to a low simmer. Stem the mint. 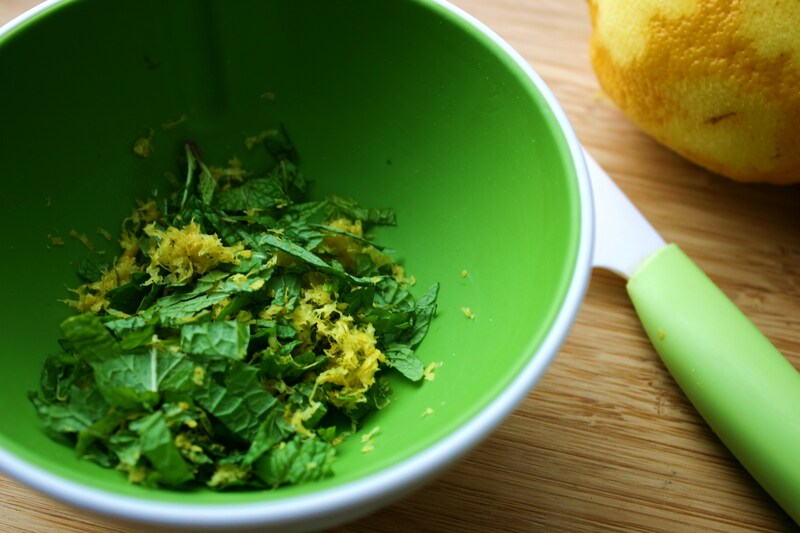 Combine mint with lemon zest and finely chop together. Set aside. 2. In large heavy-bottomed pan over medium heat, melt 2 tablespoons butter with the oil. Add shallots and salt, then cook until shallots are soft and translucent, about 3 minutes, stirring frequently. Add rice and stir to coat all grains with the butter and oil. 3. When rice becomes shiny, turn heat to medium-low and start adding the simmering stock a ladle at a time. Stir often, adding more stock when there is only a thin veil covering the rice. Add asparagus with the last ladle of stock. Remove pan from heat. 4. Stir in remaining 2 tablespoons butter, the herb mixture, 2 tablespoons lemon juice and 1/2 cup parmesan. Mix, cover and let stand 2 minutes. Add extra salt to taste. Transfer to warm shallow bowls and serve immediately with extra cheese. This is a lovely risotto recipe. Love the use of lemon and mint. Thanks so much – lemon always brightens my day! I love Nietzsche and I adore risotto. What a great combination! I will definitely make this soon. Ever since I ate in Manhattan’s Risotteria, I have obsessively tried all sorts of combinations. Anything with lemon is among my favourites. Wow, what a great piece and a great recipe! Knowing a bit about Nietzsche, I can say, however, that he was absolutely not prone to antisemitic rants. Indeed, he despised antisemitism (part of the reason he eventually became estranged from his sister and Richard Wagner). I can also clarify something about his love of risotto. The Gay Science was written earlier in his life; in his later years, when he was living in Turin, he wrote in Ecce Homo: “the best cuisine is that of Piedmont.” So it seems he acquired the taste for rice and risotto in later years. Anyway, I’m glad I stumbled upon this recipe! Good article. It’s a vegetarian dish and even though I will never try to make the dish, the theme of the article is interesting. The first sentence of the article reminds me of the following. Particularly when I associate it with Nietzche, I have always wanted to explore the various philosophies. My mind boggles with lots of thoughts, which sometimes lose clarity and focus. I want to publish a write-up on what I understood from the AynRand’s The Fountainhead. When the author could publish a 700-page book on a theme, after claiming that it’s one of my favorites, Can I not write a 7-page write-up? That is the reason no book gives me a closure except Harry Potter. (I discussed it with friends lots of times. So I am satisfied with it.) Explore other philosophies including Aadi Shankaraacharya’s Advaitham. Nietzches existentialism, Sartre, Albert Camus and Jiddu Krishnamurthi too. I heard of these people on arbitrary times, may be a single article or a mention of them in an article. Interesting post. I read a lot about Nietschke when studying literary theory, only a year or so ago … at the time I felt confident I’d got my head around a little of what he wrote … now I seem to have forgotten most of it entirely. 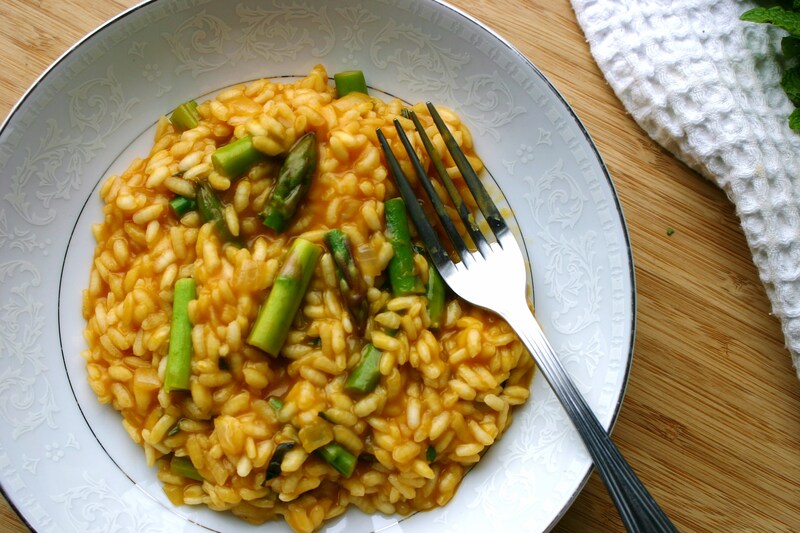 Risotto and asparagus dish sounds delicious, must try it. I hope you do – let me know what you think! Wow, sure Nietzsche is my Copilot ( http://amorphia-apparel.com/design/copilot/ ) but now he’s my chef too! Ha! We should make our own shirt. I’d wear that. 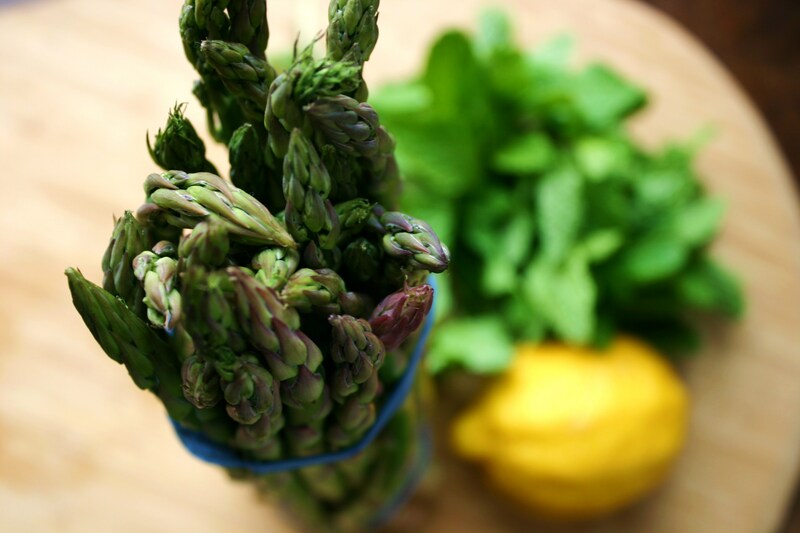 I love Spring risotto with lemon and asparagus (I add in fresh or frozen peas, too). One trick I learned recently is that one doesn’t need to stir the risotto as much as most recipes say: once adding the cup of stock, stir once to incorporate, then let the simmering absorb the rest. This technique turns out perfect risotto every time, and the simplicity allows me to make this dish on a regular basis. Risotto is such healing comfort food—I can see why Nietzsche would have liked it, as rice is soothing and easy to digest, especially when made warm and porridge-like. The correlation between rice and opium use though? Well well Nietzsche, that is some bad philosophy. Beautiful photos! These are all of my favorite spring flavors—I’m sure I’d love this risotto. Thank you for the wonderful photo and risotto recipe and I’m sure I will impress my wife.